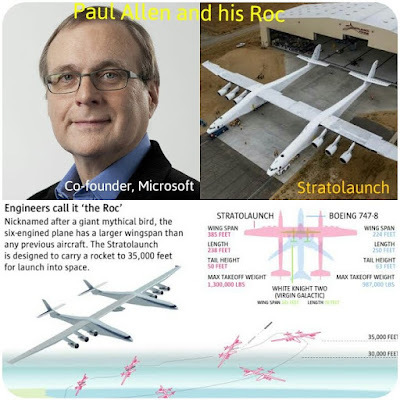 Paul Allen and his 6 engine stratolaunch, Roc .. 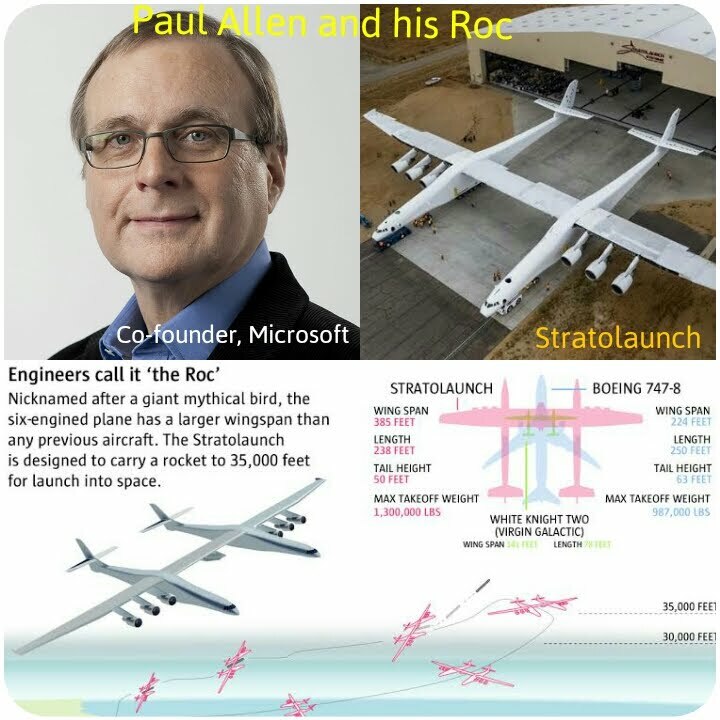 When Paul Allen Microsoft co-founder first proposed the idea and funds, noone thought it would change human expeditions to space forever ..
What can we expect Stratolaunch, the 6-engine behemoth to be capable of carrying besides rockets to the Stratosphere for onward launch ? Can it help launch space platforms or Mars settlements from the Earth's Stratosphere ? After having finished experimental flights, we can expect The Rock to be ready for launching rockets as early as 2020 AD. Will it help change human dreams to conquer space ?